The Pin Cushion is excited to announce its 2nd year participating in the NJ Shop Hop! 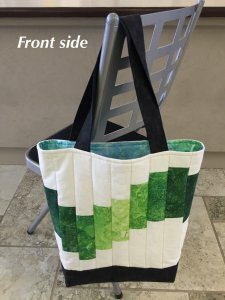 Each participating shop creates their own small project (bag, table topper, etc.) that features their interpretation of this year’s theme: Earth Day. The Pin Cushion has designed the following tote bag, highlighting our new Gradations collection from Northcott Fabrics. 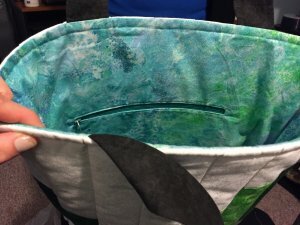 It features a unique wave design that wraps around the entire bag, transitioning from green to blue to represent the elements of land and water. 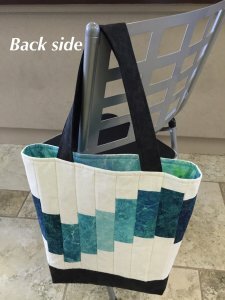 What’s great about this design is that it can easily translate into something other than a tote, such as a focal point in a quilt, a table topper, or a wall hanging! 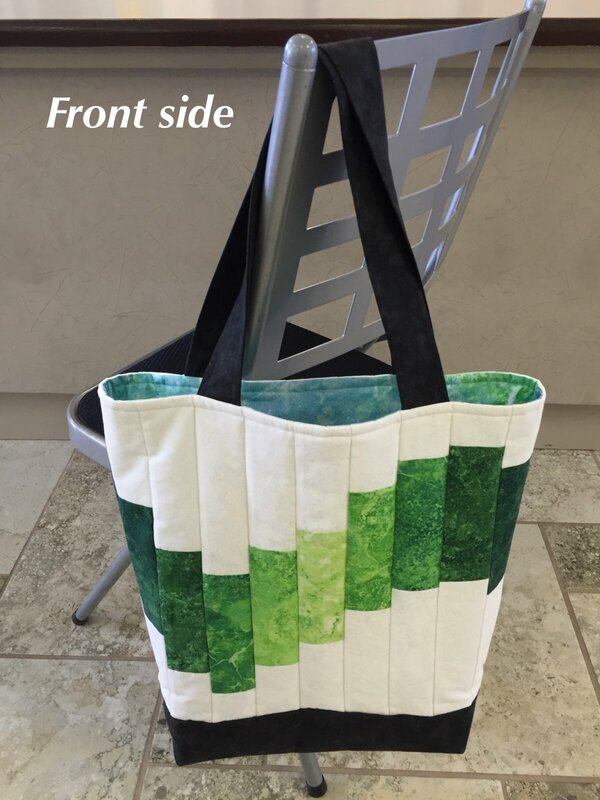 Our kit comes with 2.5” precut fabric strips to streamline the creation process and make creating this bag a breeze! 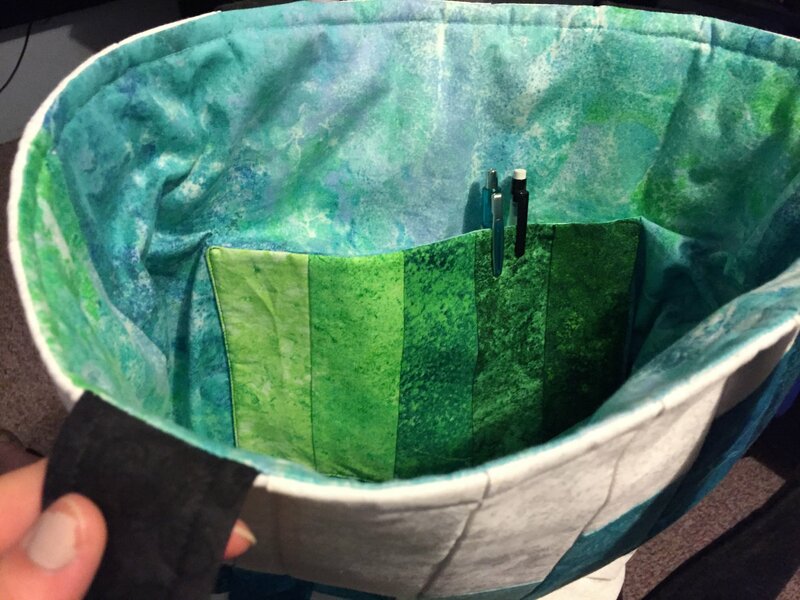 The inside of this bag also features a green ombre pocket on one side, and a zipper pocket on the other.